For Tanvi Bobde ’17 (M.S. 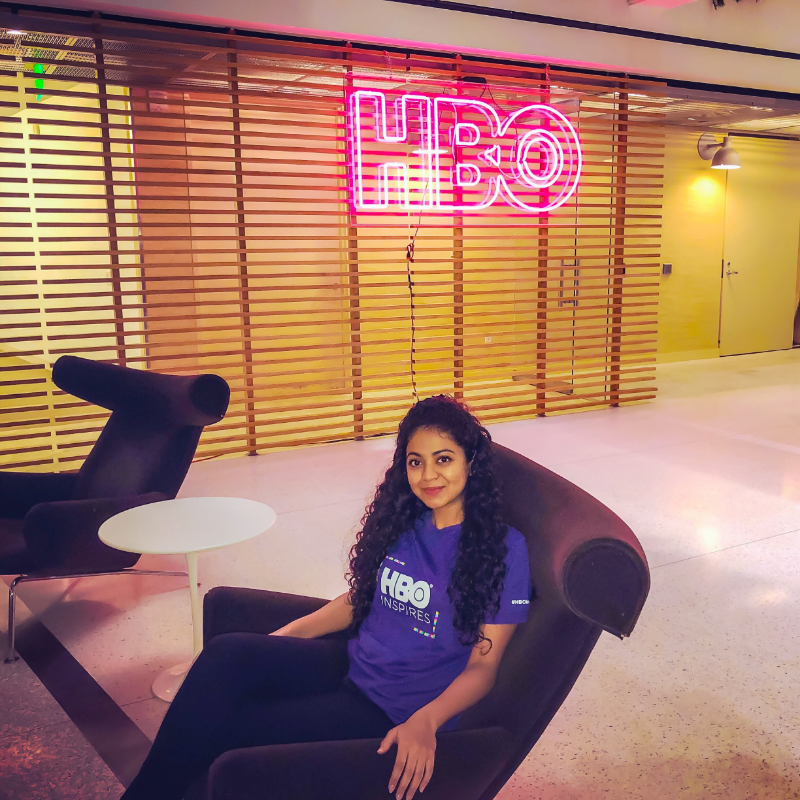 – information systems), an interest in “Game of Thrones” along with an education and skills in data analytics converge in her current role at the Los Angeles offices of HBO. She discusses the responsibilities and activities of her position, what life is like working at the cable TV network, her career goals and the impact of her CSUF Mihaylo College education. 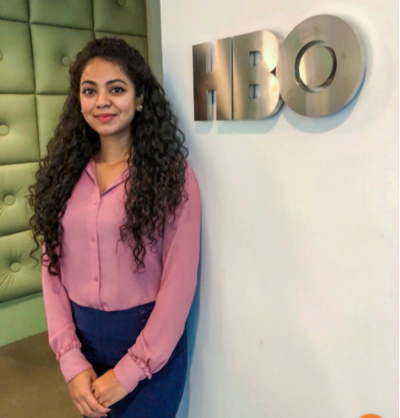 Millions of people enjoy watching the HBO fantasy drama series “Game of Thrones.” But for Mihaylo College alumna Tanvi Bobde ’17, the fantasy drama served as the catalyst for a career opportunity at the Los Angeles offices of the cable television network. While data analytics is a growing field across all industries from health care to government, Bobde notes that the entertainment industry is a significant career path for Southern California professionals with data analytics skills. Business analyst, data analyst, data scientist and business intelligence developer comprise an in-demand professional cast of characters. 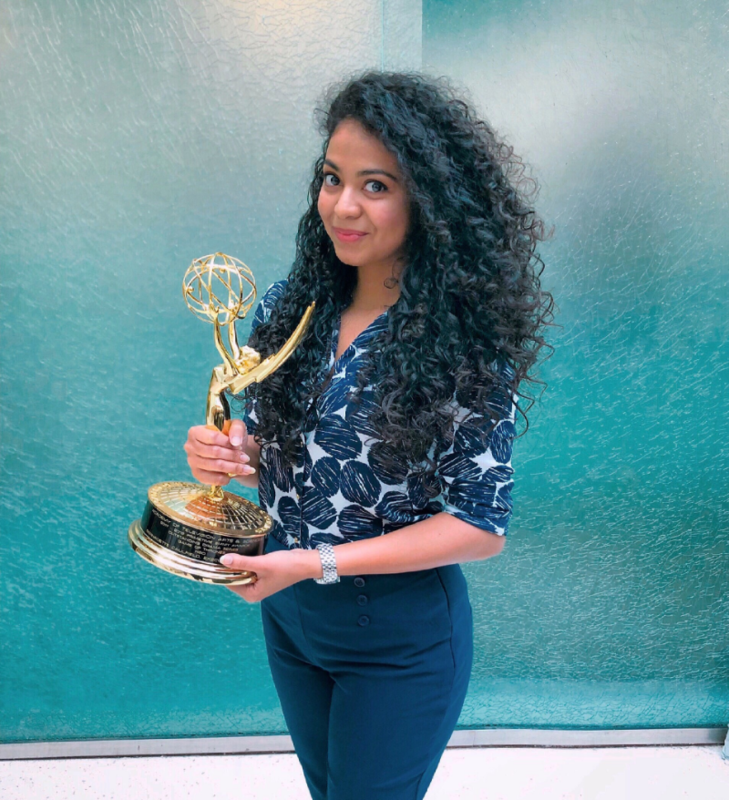 Tanvi Bobde holding the Emmy award for Outstanding Drama Series, which was bestowed upon Game of Thrones. Celebrity sightings are a common occurrence for HBO employees, and only a little more than a year on the job, Bobde has already met writer George R.R. Martin, who travels with an entourage of assistants, and “Game of Thrones” stars Kit Harington (Jon Snow) and Nathalie Emmanuel (Missandei). With a commitment to work/life balance, HBO is a friendly and diverse work environment. “Every other week, they screen movies and shows by HBO, Warner Bros. and Universal Pictures in the screening room. The employees also get invited for the Emmys after party,” she says. But being on the HBO payroll isn’t only star-studded fun and games. In her current role, Bobde reports directly to the vice president of HBO Archives, which not only serves as a historical repository of shows but also the basis for data to help the network have the most effective engagement with viewers and partners. On the day-to-day level, this translates into extracting data from the back end of HBO’s multiple legacy media asset management databases and cleansing, transforming and manipulating raw unstructured data, mostly using SQL, a domain-specific language commonly used to communicate with databases. When data is ready for analysis, Bobde applies forecasting and statistical modeling or data mining techniques to facilitate critical insights and suggestions. She then presents her findings to senior management using dashboards and data visualization. The biggest challenge for Bobde: reaching out to the company’s many departments to gather essential resources, which has much to do with bridging a gap created by technical jargon. “Not everyone across the company talks the technical language, so they do not necessarily understand what you’re doing and why you’re doing it or understand your urgency,” she says. Looking ahead to the next three to five years, Bobde aims to become a data analytics and business intelligence subject matter expert, eventually gaining a role in the company’s decision-making body, thus having a more direct impact on the HBO programming that millions of viewers see. She also will surely stay on top of her favorite shows (“Silicon Valley” and “Insecure” combine with “Game of Thrones” to round out her top three) and relish her contacts with superstars. Looking back at her grad school days at Mihaylo College within the college’s information systems and decision sciences (ISDS) program, Bobde identifies the dual focuses on technical aspects – such as data modeling, machine learning and forecasting – and the managerial functions – including project management and strategic marketing – as being impactful to her career. In the last year of her grad program, Bobde held a data science internship at Uptown Treehouse, a Downtown Los Angeles social media marketing startup. The experience, which was her first work experience in the U.S. after emigrating from India, provided insights into the company culture at a startup and applied experience in marketing strategies and digital analytics. For graduate students seeking an ISDS education to prepare them for advanced roles across a wide range of fields, including entertainment, Mihaylo College offers an M.S. in information systems, which has generalist, business analytics and decision sciences concentrations. The college also offers an online cohort-based M.S. in information technology, ranked by U.S. News and World Report as the foremost online business program in California and ninth nationally. That program, which can be completed in 20 months by taking two courses per semester, has concentrations in data science and IT management and is designed for professionals already in the field who desire to expand their knowledge or pursue higher-level roles. More information on these and other Mihaylo College graduate programs may be found by visiting the Mihaylo College Graduate Programs website.